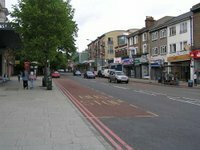 The first Annual General Meeting (AGM) of the Forest Hill Society took place on 25th September 2006 in the Quaker Meeting House on Sunderland Road. That means this autumn, when we will be convening our 10th AGM for the Forest Hill Society, we will begin our 10th year. At our AGM on 22nd October, we intend to look back over what we have accomplished as well as look forward to all the things we have yet to do. 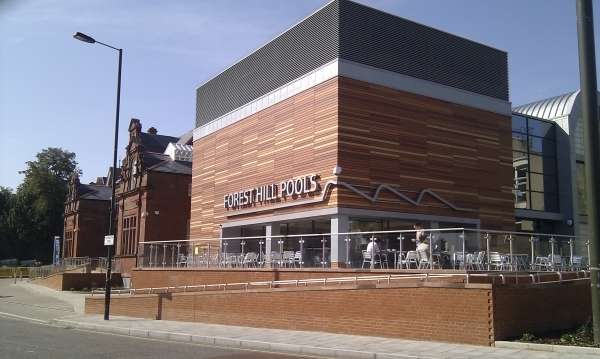 We are immensely proud of what the Forest Hill Society has achieved during these past nine years and hope you can join our team to make Forest Hill an even better place to live in the coming years. This past year has been another good year for the Forest Hill Society and for Forest Hill. Members of our Environment Committee have been busy maintaining the plants around the town centre: in the planters at Forest Hill station and the Edible High Road tubs for so many of our local shops. We were pleased that some of our ideas, developed last summer, for improving the town centre have been incorporated into the early plans for improvements to Dartmouth Road. These plans still need to finalised, but we expect construction works to start in spring 2016. It would have been hard to imagine last summer that, by the end of the 2014, £600k would have been secured by Lewisham Council to start turning some of our aspirations into realities for the town centre. On the back of this, members of our Planning Committee worked with local organisations SEE3 and V22, along with Lewisham Council to successfully bid for additional funding from the Greater London Authority to improve the streetscape between the Forest Hill Pools and Library. On transport, we experienced a serious degradation in evening peak rail services from London Bridge earlier this year. However, by keeping up the pressure on Network Rail and Southern Railways through all channels possible, we believe the efforts of our Transport Committee helped in reinstating the rail services that had been cancelled. Along with other groups we have long advocated for an extension to the Bakerloo line into South East London. Although such an extension may still be some way off, 96% of people who responded to this year’s consultation by Transport for London — for proposed routes that would go through New Cross Gate and Lewisham, and south to Lower Sydenham and beyond — recognised the extension as a useful addition to the transport network. Hopefully, there will be more news on this before the Forest Hill Society’s 20th AGM! Additionally, in this past year, we organised informative talks on local history and climate change, as well as another excellent Burns Supper; installed a new street piano in the forecourt of Forest Hill station; worked with local churches to present the annual Christmas tree lighting and carol singing festivities in our town centre; and almost managed to organise an election hustings prior to the Parliamentary elections. Every year I ask for new volunteers to get more involved, either by joining our Executive Committee or one of our other committees. I am pleased to say that every year our team has seen a few more new faces, who bring new energy and enthusiasm to the efforts we pursue. Nevertheless, once again, I would ask you to consider joining one of our committees, and seeing if you like it. The Executive Committee meets every 6-8 weeks to come up with new ideas and ensure we implement them. While we surprise ourselves every year with what we are able to achieve, we know how much more we would like to achieve if only we had a few more active members. Whether you have just moved to the area or have been living here for 80 years — it doesn’t matter — what matters is that you want to join our team to help ‘make Forest Hill an even better place to live’!